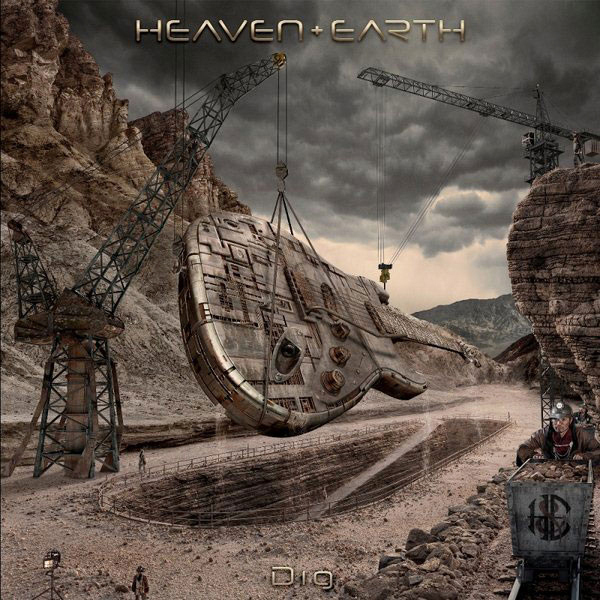 Today’s Interview Topic – the making of the album cover artwork for Heaven & Earth’s Dig, a 2013 release on Quarto Valley Records. I’ve always been fascinated by the work of art historians and scientists who’ve developed and deployed technologies that have allowed them to look beneath the surface of centuries-old paintings to find either earlier versions of those same works or, in the case of 2007 investigation of a Renaissance portrait of a young woman that, after digitally peeling back the layers of oil paints, a work that turned out to be an undiscovered (and incredibly-valuable) masterpiece by Leonardo daVinci (watch this episode of Nova on PBS for the complete story – http://www.pbs.org/wgbh/nova/tech/mystery-masterpiece.html). The results of efforts taken by forensic scientists have produced results that, in some cases, have flown in the face of the assumptions and determinations made by art experts (as exemplified by the aforementioned daVinci and a similar episode featuring a work supposedly by Jackson Pollock), while in others, we’ve been able to gain a better understanding of the processes followed by great artists as they experimented with ideas prior to the execution of a masterwork. As it’s my goal as a journalist (and fan of album cover art) to present you with stories about “the making of” popular album cover images via the interviews I do with the creative talent behind them, I always try and get a better understanding of just how a great image came to life. In many cases, it’s certain that most good album cover artists are constantly building upon what they’ve learned via the execution of previous cover art commissions. In today’s example – the cover for Heaven & Earth’s Dig, done by designer/photographer Glen Wexler – it seems clear that the work he produced for his client comes as the result of a concept whose time had come, simply being the perfect time for the application of ideas he’d developed over several years and preceding projects. Being as it is that the band’s music is, in itself, a more up-to-date iteration of classic “arena rock” from a long-ago era (rebuilt using vintage instrumental layers and modern production techniques), I think that you’ll find Glen’s approach to the creation of this album package – the cover, along with the stylish imagery featured on the LP sleeve, booklet, etc. – has followed that of the time-honored traditions used by past masters, with the results just as impressive. In today’s interview, we hear about this project’s details from “the master” himself, as well as his take on how/whether today’s album cover art is done in such a way as it will stand “the test of time”….